Do you have a distribution strategy for your Self-Directed IRA accounts? You should. And it should involve more than just calculating your bare minimum income needs and RMD requirements. Self-Directed IRA owners – especially those with multiple Self-Directed IRA accounts and properties – should take distributions according to a well-thought-out, rational plan that safeguards not just your own interests, but preserves as much of your financial legacy as possible for your heirs. Calculating your RMD. When you turn age 70½, you must begin taking required minimum distributions from your tax-deferred accounts by April 1st of the following year. And you’ll probably get a statement from each of your investment companies estimating your RMD for that account. But you don’t have to take RMDs from all your accounts. You just have to add up the RMD amount from all your accounts. And then you can take the RMD from just one account, if you like – usually liquidating your worst-performing assets. Have any properties or assets or investments not pulling their weight? Or would they perform just as well within a taxable account, net of taxes as they would in a tax-deferred account? Consider taking these assets out first. This means you’re concentrating your RMDs in one or two Self-Directed IRA accounts, perhaps. But it also means your best performing assets are left unmolested to compound tax-deferred as long as possible. Remember to include all your tax-deferred assets subject to RMDs in your calculation. This includes traditional IRAs, self-directed traditional IRAs, 401(k)s (other than designated Roth accounts), SEPs, SIMPLE IRAs and qualified plans such as 403(b) and 457(b) accounts. But it doesn’t include Roth IRAs, self-directed Roth IRAs, or designated Roth accounts in a 401(k). Since you already paid taxes on your contributions to these accounts, there’s no need to take required minimum distributions from them. Note: The worst thing you can do is fail to take an RMD at all. The penalty for failing to take a required minimum distribution is draconian: 50 percent of the distribution you were supposed to take but didn’t. That’s higher than any income tax you’re likely to pay on the assets. Maintaining equity for heirs. Another consideration you may have is the desire to keep multiple Self-Directed IRA balances relatively equal for your heirs. For example, if you have three children, you may want to keep a separate IRA in mind for each child. In this case, you may want to draw down funds more evenly – especially if these IRAs contain assets that are relatively illiquid – as is the case with most real estate IRAs. This can be tricky. You may have to carefully manage your distributions, and periodically roll funds from one account to another to maintain parity. Many people use life insurance, as well, to help provide parity and even out uneven inheritances of illiquid assets. 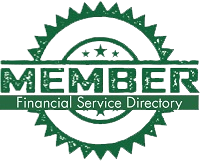 American IRA, LLC is a leading national provider of administrative services for owners of Self-Directed IRAs. Our offices are in Asheville and Charlotte, North Carolina, but we are happy to work with owners of Self-Directed IRAs from coast to coast. For more information, visit our vast informational and educational library at www.americanira.com, or call us today at 866-7500-IRA(472).